Regular readers/listeners of the fiction of P.G. 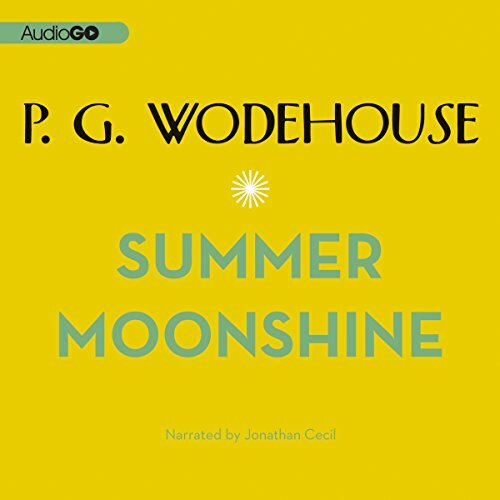 Wodehouse will recognize immediately that 'Summer Moonshine' is populated with all the familiar characters and situations that make his fiction so comfortably predictable. One may cavil that--as one feasts more and more heavily on the banquet of his stories and novels--the formula begins to feel, well, formulaic, but the Master's light touch and brilliantly epigrammatic prose style keep the atmosphere so frothy that it seems churlish to mention that one is once again reading the tale of Young Love torn Asunder by an imperious Aunt, and the dizzying ballet of secondary characters whose fortunes become entwined with those of the principal hero and heroine. Indeed, it is sometimes unclear that there IS a principal hero and heroine--often we are served up an undifferentiated pile of men and women all of whom find the path of love blocked by obstacles which must be overcome. 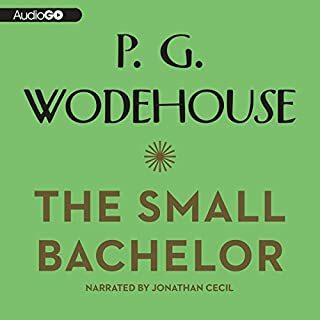 Wodehouse's solutions for extricating the hapless lovers from 'the Stew' run the gamut from the sublime to the ridiculous, but I have, until now, always consumed the stories at a gulp--loving the structure, the language and the humor of the tales. I say "until now", because--for the first time--"Summer Moonshine" has fallen far short of the mark. 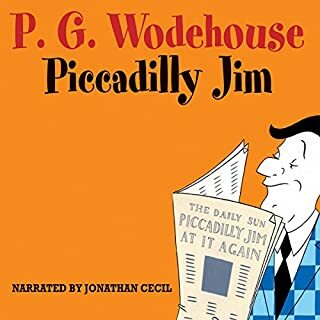 Whereas most of the Wodehouse stories have a guardian angel of some sort--Gallahad Threepwood, Jeeves, Lord Ickenham--to guide events and produce, when needed, the deus ex-machina necessary to tie things up nicely, "Moonshine" simply gives us an English country house full of thwarted and mis-matched lovers, and leaves them to their own devices. Waiting as they blunder around, stumbling over their own faulty assumptions and mis-understandings becomes tedious. Moreover, the book is populated with a singularly unpleasant cast of antagonists. While no-one would claim that Alaric, the Duke of Dunstable is a Good Guy, he is such a buffoon that his evil plots do not rankle. Adrian Peake and the Princess Dwarnitzchek, however, are so thoroughly unpleasant that reading of their exploits brought me no pleasure. It would not surprise me to learn that this story--like the play written by one of the characters--is a malicious roman a clef, written by Wodehouse to settle a personal vendetta against a real-life Peake/Dwarnitzchek duo. If, like me, you are reaching the point where there aren't too many un-read Wodehouse books, then purchase "Summer Moonshine" by all means. Second-rate Wodehouse is still far better than no Wodehouse at all. 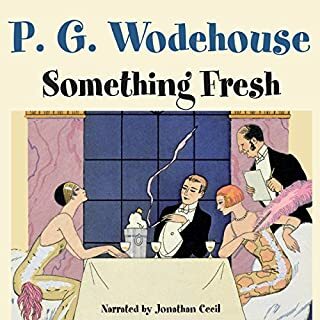 If, on the other hand, you are relatively new to the Wodehouse canon, I urge you to try something else--any of the 'Jeeves', 'Blandings', 'Mulliner' or 'Ukridge' books will bring you hours of pure pleasure. Save 'Summer Moonshine" for later. I don’t mean to say that the whole book is sloppily sentimental, a sort of Rosy M. Banks saturnalia. On the whole it is the usual Wodehouse fun. There is a young mutton head who can’t say no to girls, a Kensington-educated secretary who says “quate” instead of “quite”, a shilling-less baronet whose American brother-in-law insists on addressing as “your lordship”, and an irrepressible young man named Joe Vanringham who, with his endless persiflage and unsinkable good humor, strikes you—or at least me—as a sort of two-fisted, American version of Psmith. But there are also passages—and in particular one character—that we don’t run up against in any of the other later, mature works. “The effortless ease with which she overrode all obstacles and went complacently through life on the crest of the wave offended his sense of dramatic construction. She was so obviously the villainess of the piece that it seemed inevitable that eventually the doom must overtake her. But it never did. Whoever had started that idea that Right in the end must always triumph over Wrong had never known the Princess Dwornitzchek. True, Lady Constance Keeble can menace the peace of her brothers (and I defy you to find another subject as sensitive as the ninth earl). Lady Julia Fish is capable of anything from heavy-handed irony to outright rudeness when it comes to breaking up her son, Ronald, and his chorus girl fiancée Sue Brown. And Bertie’s Aunt Agatha is always ready to marry him off to some frightful female or other. But we end up laughing at all three. After all, they are routed by, in the first two cases, the adroit staff work of the Hon. Galahad Threepwood, and in the latter case by the fish-fed intellect of the best gentleman’s personal gentleman in London, Jeeves. Watching them try to make life hell for the men in their lives is fun because we know they won’t succeed. Besides, these women have a redeeming what-is-it about them. Sometimes they are even right—Lord Emsworth shouldn’t have come down with a brass paper fastener serving in place of a missing shirt stud. Lady Julia earns the grudging admiration from her brother Galley, “there are the seeds of greatness in that woman”. But the princess is uniquely, horribly different. 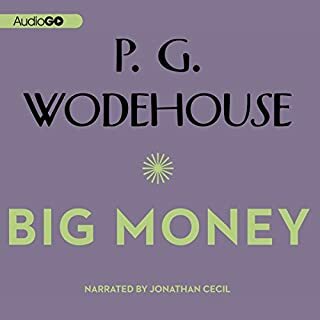 Unlike Mrs. Rosalinda Banks Bessemer Spottsworth, another Wodehouse female worth millions, the princess uses her wealth as a weapon. And she is what we would now call now a cougar. But what makes her truly awful is that there is no Galahad or Jeeves to slip a well-aimed stick in her spokes. Her designs are not frustrated. She “wins”. Fittingly, her paramour Adrian Peake also reminds us uncomfortably of unpleasant, manipulative, self-centered people we have known all too well in real life. But all this is just a long way of saying that while there are elements in this novel that diverge from the usual Wodehouse romp, Summer Moonshine is still a satisfying, reliable romp. In fact, the princess and her twerp Peake provide an interesting counterpoint to the general Wodehousian fun, making it, if anything, more piquant. It seems to stand as an alternate universe to the self-absorption and destructiveness of the princess and her slimy consort. You get the distinct feeling that neither one of them would enjoy reading or listening to the Master’s works. People who take themselves too seriously seldom do. A final word: Jonathan Cecil is pitch-perfect on this outing. His vocal portrayal of the princess—something between a spoiled Persian cat and a roused rattlesnake—is at times a little chilling. 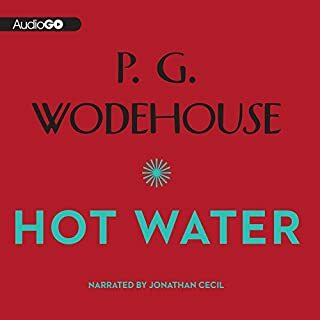 I am an unabashed Wodehouse fan and for my money Cecil reads them perfectly. He gets the mood and intonation just right. I enjoyed this story because it's a little bit of a departure from some of the more typical Wodehouse story lines. For the most part you know where you'll end up, but it's that art of the journey that is so much fun. Definitely worth a listen! 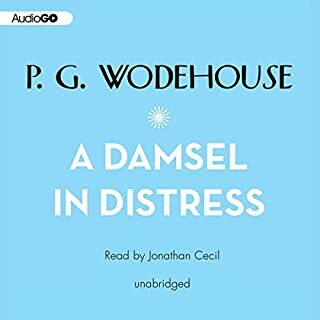 There is nothing -- absolutely nothing -- that is not perfect about the combination of Wodehouse and Cecil! !